Explore the Science behind Winter. See how we melt ice with salt. 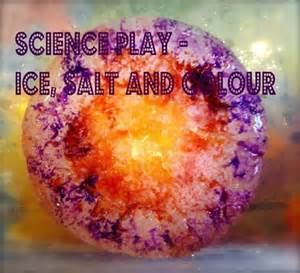 Add some color to your salt and see what happens. Make your own cold and fluffy snow. Have fun and stay warm inside with these outside things.